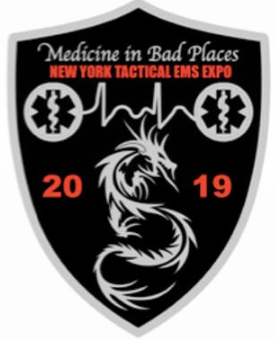 MELVILLE, N.Y. – The 2nd Annual NY Tactical EMS Expo is coming to Long Island January 5th and 6th, 2019, at the Huntington Hilton Expo Center in Melville, NY. The expo will feature 2 events under 1 roof bringing together the best training and products in the fields of EMS, Fire and Law Enforcement. There is 10,000 square feet of vendors, exhibits and public safety trade show featuring products by Quick-Clot, Armor Express, ATT Tactical, Techline Technologies, Safariland, North American Rescue, Rescue Essentials, and many more local and national names. The 2-Day Training Conference features some of the top educators. The conference will also have both an NAEMT certified 16-hour Tactical Emergency Casualty Care (TECC) Provider Course and an 8-hour Tactical Combat Casualty Care Course (TCCC). The training conference will feature over 25 classes with MCI incident debriefs, Operational Medicine and Tactical Medicine case reviews, topics and hands on scenario and skills training. Featured faculty such as Lt. Colonel Stephen Rush, M.D.-USAF Para Rescue Medical Director, Dr. Amado Alejandro Baez, MD- Chairman Emergency Medicine-Kings County Hospital, Chairman-Tactical Medicine, American College of Emergency Physicians, Dominic Marino, DVM - FBI/ATF K-9, and Dr. John Trentini, M.D., Ph.D. Special guest appearance by former US Army Easy Company “Band of Brothers” Medic, SSG. Al Mampre. Who is the conference designed for? *Agency discounts available for 6+ members, contact nytacticalemsexpo@gmail.com for discounts. Limited discounts available for Medical Residents and ALS/BLS students, FLEOA, and state SWAT organizations. Want to know more about Tactical EMS Expo?